Ageing is a natural process, and just like the rest of the body, our skin undergoes many changes as we age. For one, it loses its elasticity and ability to renew itself. So you might begin to see fine lines and sagging skin. You might also start noticing small dark spots on areas like the face, décolletage, shoulders and arms. These are called age spots. Age spots are fairly common amongst those above 50 years, but also appear on younger skin that has received a lot of sun exposure. They are pretty harmless, but are considered to be aesthetically unappealing, and a lot of people wish to remove them for cosmetic reasons. Let us look at Age Spots, its causes and treatment in more detail. Age spots, also known as Liver Spots or Senile Lentigo or Solar Lentiago or sun spots, are pigmented spots on the skin, and can range in color from tan to brown and black. They appear in different colors and sizes, mainly on areas with increased sun exposure. You might be wondering, why are they called age spots? That’s because they are a common occurrence that can happen with age. If we look at young children and teens, we will observe that their skin is usually clear and blemish free. A clear, blemish-free skin is a mark of youthfulness and health. There are some cultures, particularly in Asia, where women can manage to protect their skin and keep it blemish-less over a longer time, thanks to proper care. So it is indeed possible to have beautiful skin even as one ages. But is age the only factor that causes these spots?What causes these age spots? The color of our skin is dependent on the level of melanin present in the skin. Melanin is a pigment that is composed of pheomelanin, enumelanin and neuromelanin. The levels of these elements in the body decide the color of our skin, hair and eyes. Age spots, form when there are factors that alter the skin’s natural pigmentation. These factors are often a result of increased exposure to sun that stimulates excess production of melanin, as well as the natural ageing process of the skin. Increased sun exposure damages the skin as the UV rays can affect the level of melanin in the skin, resulting in dark spots, usually on areas that receive the maximum sun exposure. And this is the main reason why young people can also develop age spots. The natural ageing process of the skin is accelerated by environmental and lifestyle factors like pollution, diet, smoking and alcohol consumption, all of these factors influence the production of melanin. What are the treatment options for age spots? Nitai Skin Clinic offers the latest technology to clear away age spots in a quick and effective way. The latest laser technology at the clinic can be used for all types of age spots removal, no matter where on the skin they appear, to give you long lasting results. And all of these treatments are delivered by our highly qualified and experienced team. Chemical peels are a very popular option for removal of age spots, for those who do not wish to go down the laser treatment way. They are great for cases where the age spots are lighter. They are specially formulated to gently remove the outer layer of old skin, and reveal lighter, natural new skin beneath. Apart from age spots, chemical peels also help in achieving smoother, even toned skin. The Fraxel Laser is a novel approach to treat age spots, reduce fine lines and pores and improve overall skin texture. This “fractional” way to laser skin resurfacing works by creating “micro-wounds” which kickstart the natural wound healing process, and results in the formation of new essential cell growth factors to replace damaged skin. This treatment is suitable for all skin types and is known to be safe (with well understood risk profile) and effective. Unlike some other treatments which may leave your face pink and swollen, the best part of this is that it requires little or no downtime so you can get back to your routine without a break. 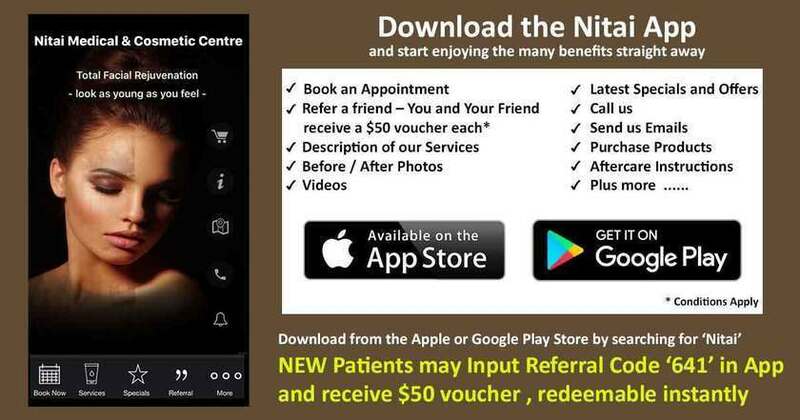 At Nitai, we’ve been using this approach since many years, and our happy clients are testimony to the effectiveness of this treatment. This is also a good treatment to sustain your skin’s youthfulness over a longer period. Apart from these treatments, we recommend that you commit yourself to a regular skin care regime as prescribed by our cosmetologists and clinicians. Some simple habits like the daily use of a sunscreen can protect the skin from the harmful effects of sun exposure, and thus help prevent the appearance of further age spots. Also, using skin care products enriched with Vitamins like A, C and E can also promote good skin health and prevent the appearance of age spots. Age spots removal will allow you to have flawless and blemish-free skin, and can help improve skin tone and complexion. Not sure about which is the right treatment for you? We invite you to book an obligation-free consultation at our clinic where our clinicians will recommend the treatment best suited for you. Due to the advanced technology available at our Melbourne clinic, most treatment sessions will usually require one to three sessions. The cost of the treatment can vary depending on the intensity of your spots and the number of sessions required. At Nitai, we value client satisfaction and take extra care to ensure that we deliver to your expectations. And this is the reason why we encourage follow up reviews for all our treatments. We urge our clients to ask questions and clear away any doubts they have before the treatment. Call us on 03 9300 1244 to book an appointment today.